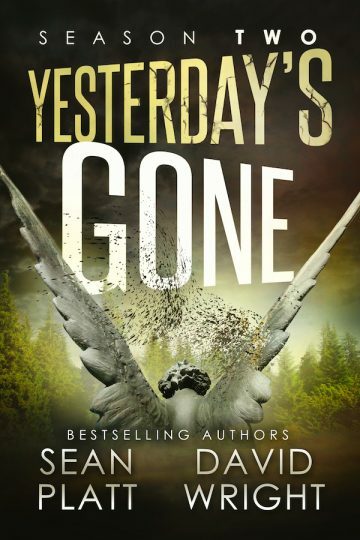 The #1 bestselling horror sci-fi series with over 1,000 5-star reviews continues here with Yesterday’s Gone: Season Two. They survived the end of the world. Can they survive what’s next? Five months ago, most of humanity disappeared. Now the survivors must unravel an ugly mystery on a seemingly empty planet. In a world where nothing is exactly as it seems, small groups of survivors band together in search of the truth. As each faces an impossible choice, their paths converge and lead them closer to the truth. But at what cost? A mysterious island, a religious compound, a serial killer, and a new miracle are at the heart of their continued existence. Season Two of Yesterday’s Gone by Sean Platt and David W. Wright picks up where Season One left off. This page-turning post-apocalyptic thriller delves deeper into the dark new world and the dangers that lurk in its shadows to keep you on the edge of your seat. What would Boricio do? Find out in the next season of Yesterday’s Gone!